I went to Shanghai in China at such a hard time for Japanese. The meal in China Eastern Airline. Incidentally, I could carry my two luggage on the plane. It is like China style that we cannot trust the official web site. 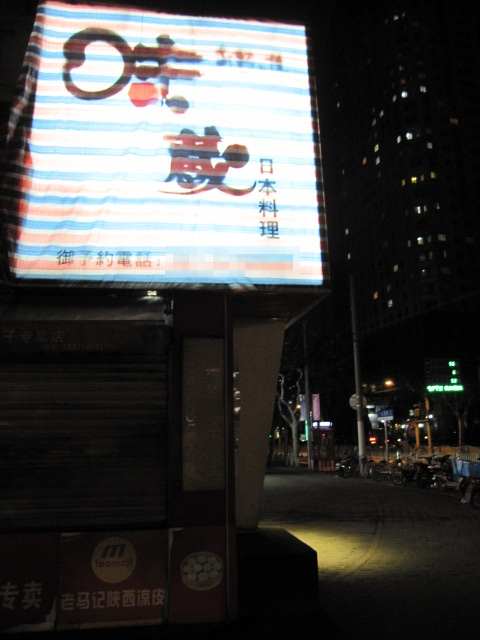 At before 10 p.m. local time on 23 Sep. 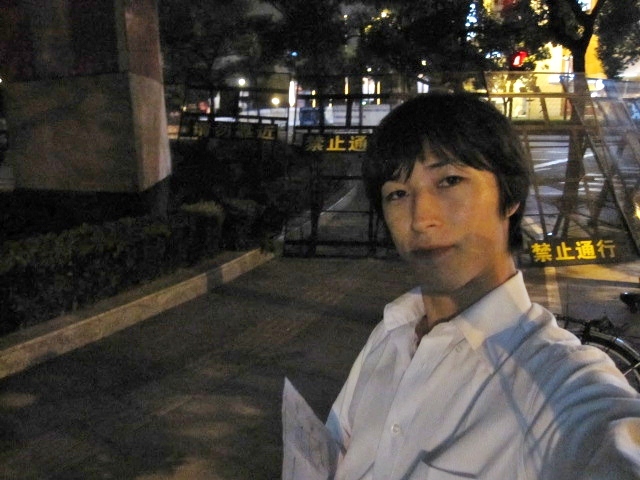 I went to see the Japan Consulate General in Shanghai. However, the road to there just before the building was blocked out. The national power were standing guard. 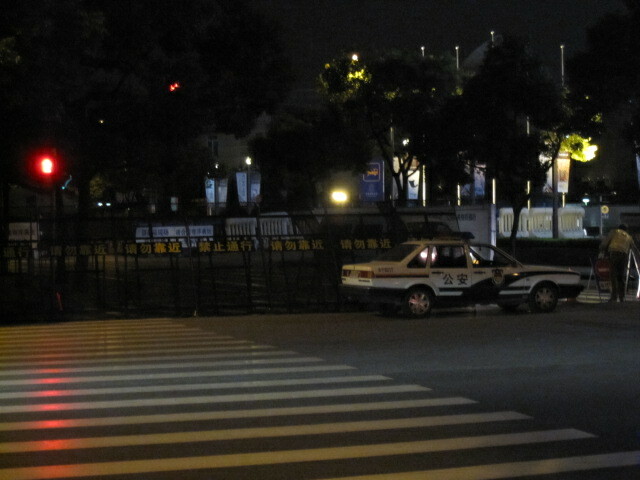 Since I took 40 min from my hotel, I took a commemorative picture with barricades. A Japanese restaurant hidden their signboard with a tarpaulin (known in Japan as a Blue sheet). But it's transparent by the light from inside on the night. That's a reasonable system. 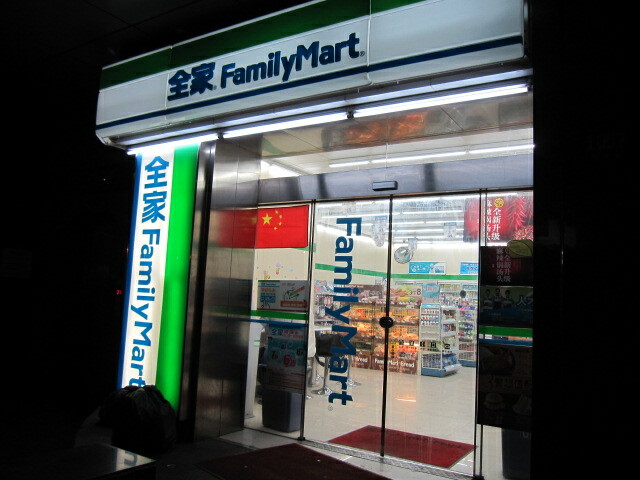 Family Mart a.k.a. Famima showed the Chinese flag like a talisman.